SMS Fallback (Actions and Attachments excluded) Yes, additionally charged Yes, free of charge for first 2 SMS instances, additionally charged after. Schoolvoice provide for Non-Profit and Special Needs Education Institutions a 50% discount on Gross price. What technical Knowledge does Schoolvoice require? None. If you know how to use Google, or Facebook, then schoolvoice will be much easier. How long does it take to launch Schoolvoice? Initial registration and activation will not take longer than a couple of minutes. What languages does Schoolvoice support? Schoolvoice admin panel is available in English, Arabic, Indonesian, French and Polish. 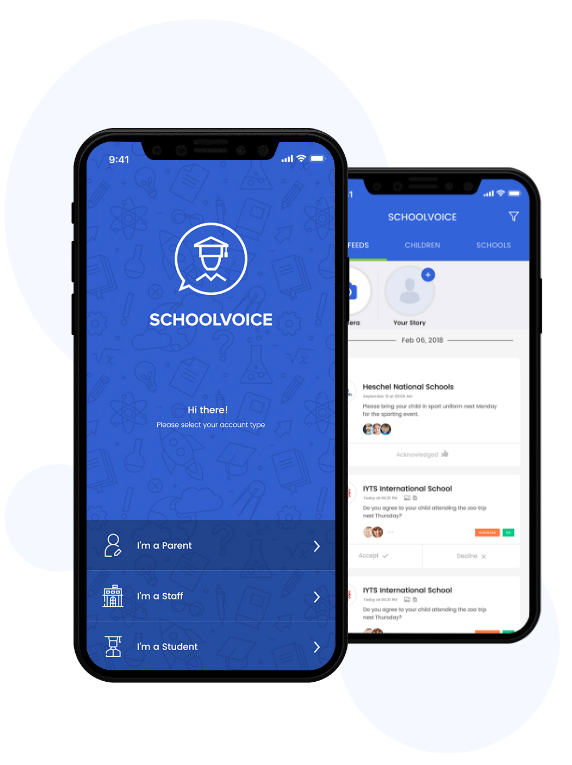 Schoolvoice mobile app supports English, Arabic, Indonesian and French. What if my school require suport? SchoolVoice offers phone, email and chat support to both parents and schools during normal business hours. Our team will be there for you whenever needed.